Still missing the kayak. 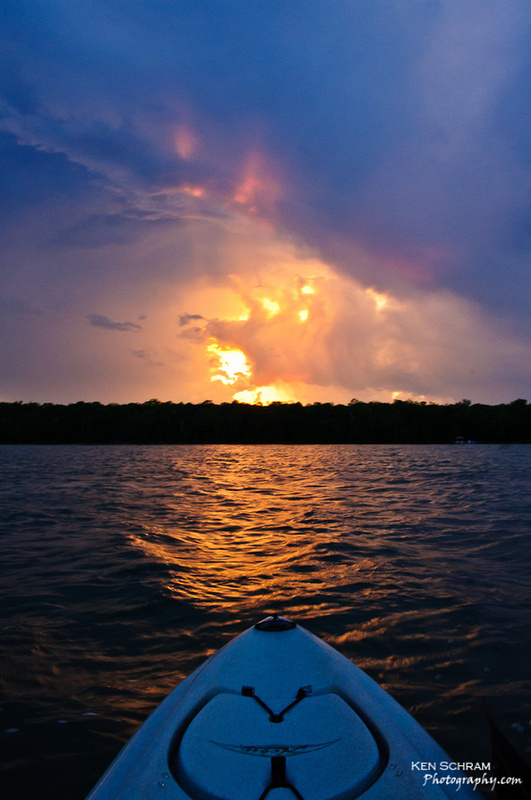 This was taken on a stormy, windy evening late last summer on Europe Lake in Door County. Shooting in low light is always a challenge, but locate yourself in a rocking kayak in heavy winds and it gives new meaning to the word "challenge". Hoping to capture a "point-of-view" type shot while orientating the bow of the kayak into the light, it was a struggle to keep the kayak pointing in the right direction, holding steady with the camera and doing it all in between the rain drops as the sky started to open up. Can't wait to do it again :).